This book critically assesses the human security challenges faced by states, focusing on how and to what extent the state is influenced by global structures and operations. Having grown rapidly since the 1990s, the field of human security has spawned a wide variety of academic research. This research has helped to reconceptualize the notion of security, both broadening and deepening it, and it has created a space where unconventional and multidimensional forms of security inform international policy practices. 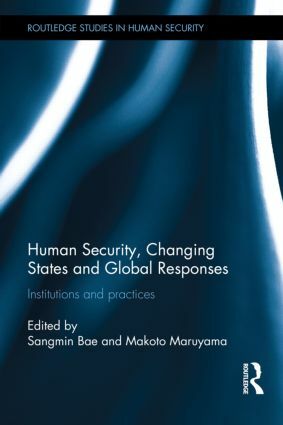 However, while various issues and cases of human security have received growing academic attention and policy interest, many of the existing books on human security focus primarily on non-state actors. This leaves a key question unanswered: why do sovereign states take on leadership roles in promoting human security? To answer the question of why and how national governments influence international human security policy, this volume examines the domestic political factors and structures that mediate the range of policy choices. Important domestic variables include the ‘cultural match’ (e.g., ‘Does the country often favor multilateralism and promote a rule-bound international society?’), the nature of the political interests and realities that are present (e.g., ‘Does the country see the promotion of human security as a strategic choice?’), and the occurrence of important historical events such as wars, revolutions, or natural disasters (e.g., ‘Does the country, during the crisis, help to foster a new way of managing enduring security threats?’). Using this line of analysis, the book illuminates the role of the state in handling critical human security issues and its rationale for doing so. This book will be of much interest to students of human security, peace studies, global governance, development studies and IR in general. Sangmin Bae is Associate Professor of Political Science at Northeastern Illinois University. She is author of When the State No Longer Kills: International Human Rights Norms and Abolition of Capital Punishment (2007). Makoto Maruyama is Professor of Political Economy in the Department of Advanced Social and International Studies at the University of Tokyo. He is co-editor of Japanese Economy and Society under Pax-Americana (2002). This book series will provide a coherent body of academic and practitioner insight capable of stimulating further consideration of the concept of human security, its impact on security scholarship and on the development of new security practices. The series will respond to a need for more empirical investigation, at the same time as expanding the theoretical parameters of human security particularly through integrating different disciplinary perspectives.